ECK Light and Sound Service: Looking for Inner Peace? You are warmly invited to come and experience spiritual growth and fellowship as you explore what could be your next spiritual step at this ECK Light and Sound service. This service offers you the chance to explore your own connection with the Divine. Find out how singing HU, an ancient name for God, can open your heart to God’s love. Connect with the most sacred part of yourself, receive new insights and magnify love in your life through the Light and Sound of God. Divine Spirit expresses Itself in the world as Light and Sound. We will explore the topic through talks and/or small group discussions. 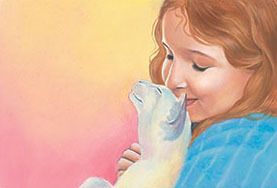 Eckankar welcomes people of all faiths and backgrounds and we have a children’s programs for ages 5–13. The service is about 1 hour to 1.15 hours, and light refreshments are available. New guests can also receive/request a guest welcome pack. Search the events calendar for an upcoming event in your area, or, if you can’t find one, please contact us. We’d love to hear from you.